New White House tactic to bring GOP back to health debate? WASHINGTON (CNN) -- In the chess game over health care reform, the White House's last move was to say Democrats might use a procedural move to get a bill through without working with Republicans. 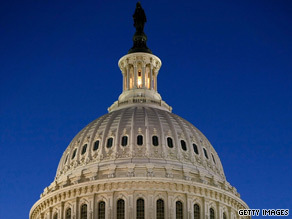 Congress will take up the health care reform debate in September. But will Democrats really try to muscle something through without GOP support or is it a gambit to bring Republicans back to the table? "I think this is something that they are putting out there maybe as a threat that they could pull back," said Roy Sekoff, the founding editor of the progressive blog, The Huffington Post. "And I think it is a smart move." On Tuesday night, Democratic sources told CNN that the White House was considering using the budgetary procedure called "reconciliation," which would bypass the normal 60 votes to get a vote on the Senate floor and instead require only a simple majority of 51. Democratic strategist and CNN contributor Paul Begala said Obama has two campaign promises in conflict. "He ran around the country and said 'I will be post-partisan ... I'll bring Republicans and Democrats together.' He's not going to be able to do that," Begala said Wednesday. "He promised to do health care and he promised to be bipartisan when those two are at war. Health care is a lot more important. He's gotta do his job which is try to bring quality, affordable health care to people even though the Republicans won't do their job." House Minority Leader John Boehner, R-Ohio, said Wednesday that a possible go-it-alone strategy by Democrats is nothing new. "From day one, the White House has taken a go-it-alone approach on health care," he said in a statement. Health care reform without Republicans? The question still remains whether Obama has enough support within his own party to go it alone. Conservative and moderate Democrats have reservations about the projected cost of reform. And hints that the White House was considering dropping the public-option part of a reform plan brought a backlash from liberals and progressives, who said they wouldn't vote for a plan without a public option. "The only thing that they have been consistent with is their inconsistency," said Sekoff. "This has been going on for months Back in July, when Obama was in Russia, Rahm Emanuel [Obama's chief of staff] first floated the trial balloon of no public option, and then Obama had to walk it back all the way from Russia ... which is pretty far." But Sekoff says as Obama gives more town halls and issues clearer statements on his position, criticism from progressives might cool off. "I think, very good news, because this is what people have been waiting for, at least progressives have been waiting for ... the president to make a strong move and say: 'This is what I'm for. I'm drawing a line in the sand, and there will not be, you know, legislation that I will sign if it doesn't have a public option.' ... And I think this is what we're finally seeing." But support for a Democratic-only plan may not fly with the public. But a new NBC News poll shows only 21 percent approve of the Republican Party's handling of health care, while 62 percent disapprove. In contrast, 41 percent approve of Obama's handling of the issue, while 47 percent disapprove. Republican consultant and CNN contributor Alex Castellanos said Obama's approach so far is starkly different than what Americans saw in the campaign when he had support from moderates in both parties. "Obama of the campaign is ... 'There is no red America, no blue America, no Republican, no Democrat. There is one America,' " he said. "If he does say we are going to cling to the public plan, government-run plan, no matter what, he is saying, look, blue America wins." Castellanos said the public option doesn't have the support from the middle and might be why he is losing Democratic support in the Senate. And all of this has been set against a backdrop of the anger and frustration seen at the town hall meetings lawmakers have been holding in their home districts while Congress is on its summer recess. But Marshall Ganz, lecturer on public policy at the Harvard University Kennedy School of Government, said people shouting and blasting members of Congress do not necessarily represent what Americans are feeling. "The reality is the crazies are a marginal fragment of the conservative movement and lost last year big time," he said. Ganz said Obama needs to mobilize the same people who got him elected in 2008. "It's critical for reform and the president to regain the initiative when it comes to mobilization." The Obama camp should "work with the people just as it was done during the campaign to educate and build support rather than using a fancy advertising campaign." Sekoff said Obama's "vaunted grassroots effort is not rising up on this issue." "And it's because they have been so unclear about it. I mean, people are not going to leave their houses to go knock on the door to pitch something that they are not clear what it is. And I think that's been their problem." Castellanos said while Obama has lost some political capital on the issue, he can still turn the debate around. "He may have drawn a line in the sand, but sand shifts," he said. "They misplayed their hand politically here. You don't give up your biggest negotiating chip before you get to the negotiating table." Obama still has time, analysts note, before the legislative body returns to Washington in mid-September. But Republicans might have a few moves before then. "I was talking to several Republican strategists about what they're going to do in the next couple of weeks and how they view this civil war going on in the Democratic Party," said Mark Preston, CNN political editor. "By and large, we are going to see Republicans take a step back as Democrats fight this out amongst themselves because there's no better offense than have your opponent fight one other." And Sekoff this could be a losing issue in 2010, "if they let it get whittled down to the point when it's reform only in name." "And, at that point ... it won't work, because it won't work without real reform," he said Tuesday. "And then the Republicans will turn around it and use it as a cudgel in 2010 and 2012, and saying -- say, 'see, government can't do anything right.' "